Yana Samsudin talks "Adnan Sempit Sawadikap"
Norliana Samsudin, or more widely known as Yana Samsudin, is not only a talented actress – she is also a director, scriptwriter, singer and model. This beauty of many talents hails from Yong Peng, Johor, Malaysia. One of her most successful roles on the silver screen is Wawa, the wife of Adnan (played by Shaheizy Sam), in the "Adnan Sempit" film series. 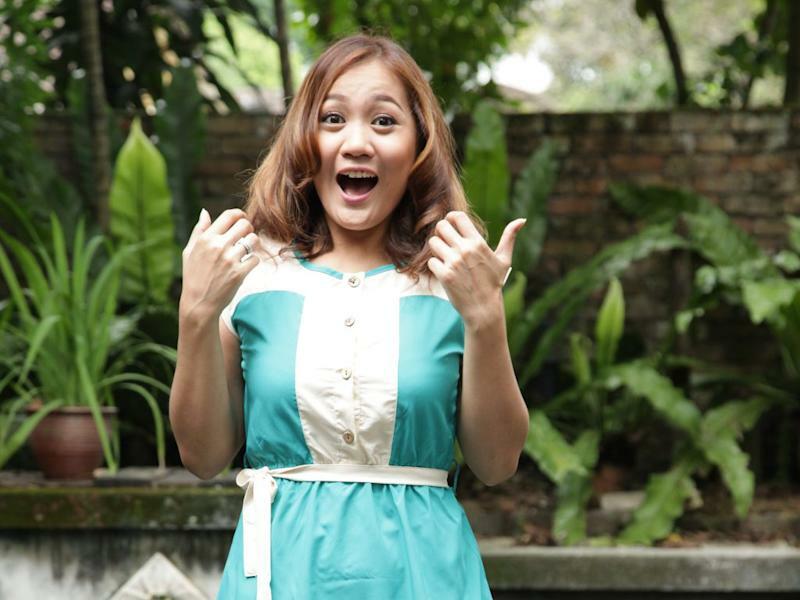 Fans will get to see her as Wawa once again in the fourth installment of the series, "Adnan Sempit Sawadikap". We meanwhile had the chance to interview the actress during the preview of said film. Read on to see what she has to say about her role as Wawa and what she thinks of onscreen husband, Adnan! Can you tell us a bit more about your character Wawa in this latest sequel "Adnan Sempit Sawadikap" and are you satisfied with your performance in the film? Wawa's character this time around is more towards a mother who's so busy looking after her husband and infant son that she forgets to look after herself as well. When Adnan goes to Thailand for a business trip, taking their baby with him, she takes the chance to unwind by visiting the spa and doing some shopping with her friend, Nadia (Intan Ladyana). I am so far satisfied with the role, though I do feel a little envious and not content with the fact that I did not get to experience filming in Thailand like Sam and Along did. Is it true that "Adnan Sempit Sawadikap" is the final sequel? Other than this film, do you have any other upcoming drama or project? Yes, it's true. It's confirmed that this is the final "Adnan Sempit" film and there won't be any more sequels to come unless this last one receives a very good response from moviegoers. Other than this film, fans out there can also catch me on two tele-movies coming out this Raya which are "Ati Setan" and "Tujuh Hari Nak Raya". The tele-movies will play during Aidilfitri. Of all the actors you've worked with, who do you honestly think matches well with you in terms of acting? All the while I've been in the acting business, I honestly think I am most suitable and comfortable working with Shaheizy Sam. I'm not being bias here but I am comfortable working with him as we seem to have a strong chemistry between us. Even though we practice our scripts in completely different times and settings, once we get onto the set we just know what lines to say to each other. This will be your last film under Metrowealth (MIG), how does it feel choosing to manage your own career after this? Alhamdulillah, everything has been going smoothly so far. I am more at ease handling my own career since my contract with MIG officially ended last February. However, I have never forgotten MIG's goodwill in helping me manage my career in the past 10 years that I've been in the industry. Through my rise and fall, they were always there for me. I would like to take this chance to thank them especially David Teo for helping me the most, a big thank you for understanding my decision to leave. Before we end our interview, is there anything you would like to say to your fans? I would like to thank my fans, no matter where you are. Thank you for supporting me in my acting and singing. Keep on supporting our local film industry. Have a good Aidilfitri. I would like to ask for forgiveness from anyone who knows me. Maaf zahir dan batin! Kosong-kosong! You're welcome. Selamat Hari Raya!